Valentine’s Day has become an occasion not just about love and romance, but a lucrative opportunity for retailers to take advantage of. People are expected to spend; shops are expected to offer deals and promote here, there and everywhere. 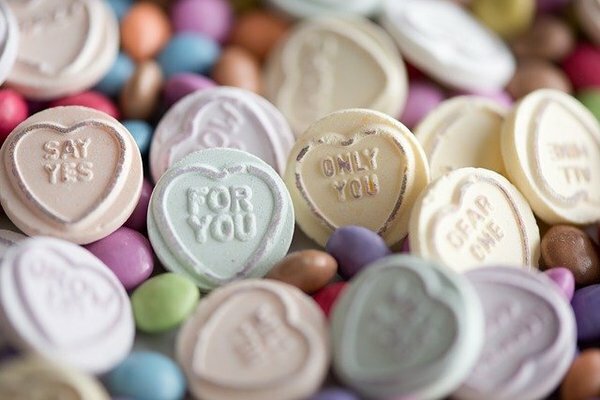 Although only 38% of customers said they were actually planning on getting involved in Valentine’s Day celebrations, those who do celebrate the occasion go all out, with a third of those involved intending to spend more by trading up to pricier products, according to shopper marketing agency, Savvy. At Competitor Monitor, we found it interesting that this annual celebration isn’t just about splashing cash; customers are spending at polarised ends of the scale, choosing either the top or bottom end, but remember – it’s the thought that counts! For budget retailers this is excellent news. As well as increasing their offering of products, providing more choice for the customer when competing against other brands and products, they are also focusing more on execution of in-store events, with the aim of enticing shoppers to buy and spend more. Those who don’t take the day too seriously, or can’t (or won’t) splash the cash, are turning to the budget supermarkets where they can pick up essentially the same products at a fraction of the price. On the other end of the scale, high-end retailers don’t need to worry. Many customers are seeking luxury goods and intend to dig deep to impress their other half. Sales of premium chocolate at Selfridges have been up by 30%, while sales of Pierre Herme Macarons have seen a 463% increase year on year. In fact, MasterCard’s annual trend index has shown that spending on premium products has increased 13% year on year. A dozen roses has caused a supermarket price war to break out, which sees Interflora offering a bunch ranging from a pricey £139.99 to £44.99 compared to £3 from Lidl - an offer even undercutting its rival Aldi, charging £5 for its cheapest bunch. Meanwhile Tesco, Asda and Morrisons have slashed the price of their cheapest red roses to £5 for 12, while Sainsbury’s is offering a dozen Fairtrade ones for £7. While this offers shoppers a fantastic price range, from the lowest to the more extortionate, this price war isn’t good new for the independent florists, who can’t compete within the market. According to the British Florist Association, events like Valentine’s Day and the focus on flowers could mean that 8,000 florists across the country could disappear as a result of competition. We think it’s worth noting that this year Valentine’s Day falls on a Saturday. What affect could this have on spending? Mastercard UK and Ireland president, Mark Barnett has said, “This will mean shoppers have more time on their hands to cook at home - that will undoubtedly benefit supermarkets. Perhaps consumers are intending to stay in and dine at home this year, as opposed to spending large amounts on a posh meal out with their other half. In terms of what’s available for those planning to stay in, Morrisons are offering a deal of one main, two sides, one dessert and either a bottle of wine or box of chocolates for £15 and M&S have included a box of chocolates to their regular ‘Dine in for Two’ but increased the price from £10 to £20. Whichever way shoppers decide to go when it comes to spending for Valentine’s Day this year, Competitor Monitor predicts that the surge of last minute, in-store purchases will be made as shoppers jump on the novelty bandwagon. Did you know we monitor millions of products across the world for our clients across various industries? Get your free trial to find out how we can help improve price competitiveness and profits.